'He was a grey man, all grey, except for his polished black shoes and two scarlet diamonds in his grey satin tie that looked like the diamonds on roulette layouts. His shirt was grey and his double-breasted suit of soft, beautifully-cut flannel. Seeing Carmen he took a grey hat off and his hair underneath it was grey and as fine as if it had been sifted through gauze. His thick grey eyebrows had that indefinable sporty look. He had a long chin, a nose with a hook to it, thoughtful grey eyes that had a slanted look because the fold of skin over his upper lid came down over the corner of the lid itself. He stood there politely, one hand touching the door at his back, the other holding the grey hat and flapping it gently against his thigh. He looked hard, not the hardness of the tough guy. More like the hardness of a well-weathered horseman. But he was no horseman. He was Eddie Mars'. 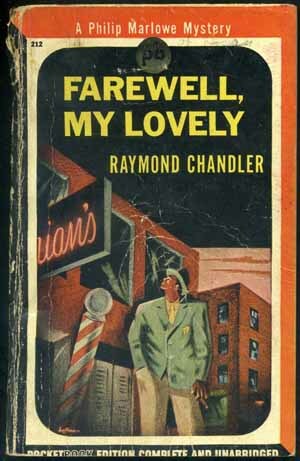 It is all Raymond Chandler's fault anyway. I could have been happy with anything, but at an early age I discovered Chandlerville - Los Angeles of the late thirties and forties and it didn't let go. I looked about me in my Victorian industrial town of Grimsby and it didn't take much imagination to know that no story ever worth telling would happen here and it if did, well who the hell cared? No one. Grimsby has a curious elegance, but no boulevard of swaying palm trees grace Cleethorpes beachfront and you'd really have to use a lot of imagination to see girls in bikinis blading on the seawalk rather than the massed ranks of blue rinsed grannies hudddled together for warmth as they scoff fish and chips down by the pier. No Grimsby detective was going to beat down the door of a glamorous society dame in my town and show her dirty pictures and demand money. (There would need to be 'society' for a start). Sure crime happened, murders happened, there were rich and poor, but Grimsby was, well Grimsby and there is nothing romantic, nothing exciting, nothing but the stench of the Pyewipe factory that soaked the town in an acrid smell that dissolved the paint off cars and altered the genetic make-up of subsequent generations, including mine. (The present factory may be less stinky but certainly wasn't when I was a kid). One heard about corruption in the council, scandals about whose parents were sleeping with who and once I knew someone who had shot their husband dead, but it wasn't Los Angeles and therefore it didn't count. No one I ever saw came close to looking like a Hollywood starlet (except maybe Anne S) and British cops didn't flash guns and if there was such a thing as a Private Eye, he'd turn out to be as exciting as the man from the council. I tried Agatha Christie. Poirot was amusing, but her murders were all so English, her writing so damn polite. 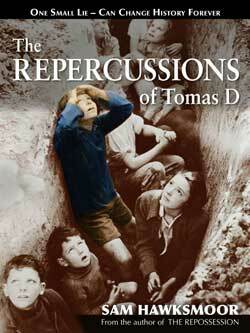 Lord Peter Whimsy was all very well and the whole basket of British Crime fiction, though popular, left me cold. Chandler was the real thing and after him, Elmore Leonard. They knew the criminal world and their words flowed. Chandler was literary, his characters were full of values, mistaken or otherwise. These people were born to be in movies and the movies loved them. Chandler was nominated for two oscars 'The Blue Dahlia'; and 'Double Indemnity'; still timeless film classics. 'Give me the money'. The motor of the grey Plymouth throbbed under her voice and the rain pounded above it. The violet light at the top of the Bullocks green-tinged tower was far above us, serene and withdrawn from the dark, dripping city. Her black-gloved hand reached out and I put the bills in it. She bent over to count them under the dim light of the dash. A bag clicked open, clicked shut. She let a spent breath die on her lips. She leant towards me. 'Leaving copper. I'm on my way. This is a get-away stake and God how I need it'. Chandlerville is full of corrupt women, dishonourable thieves and remorseful killers, some who couldn't care either way. At the heart of it is a man, a detective who has seen all and never really surprised by anything. He doesn't get rich, he is honest despite himself and he rarely gets the girl, because he knows they are only using him to get what they want. Poor people don't really figure because poor people can't afford even him and their crimes are more passionate, police fodder 'the poor always murder those closest to them'. Rich crimes involve complex tales, terrible lies and family secrets. 'Farewell my Lovely'; and 'The Long-Goodbye' are the best of his work in my own opinion, trading on forgotten promises, weaknesses and betrayals. At the core is Philip Marlowe, ex the DA's office, cynical, laconic and forever associated whether he liked it or not with Humphrey Bogart rather than Robert Mitcham. Reading Farewell My Lovely now jars somewhat in our PC world. No tiptoeing around racial issues as you enter Florians, a former white pick-up joint and now run by and for the black population of LA. No remorse as Moose Malloy kills the black manager in the other room for no reason other than he didn't know where 'Velma' was and the cops in the guise of bored Detective Nulty don't feel motivated to investigate because the victim was black. Written in 1939 you realise that nothing much has changed in police attitudes in the USA in the present day. I loved the cars. Exotic names like De Soto, Packard, Cord, Studebaker, all gone now, and always Marlowes battered Plymouth Coupé. The places too. I love the empty spaces, the empty roads and the long drive to the black and white ocean where, quite often the bodies drifted out to sea. Above all, California was romantic, if a little harsh and run down - a legacy of the depression and if I could have run away from school to live there, I would have. 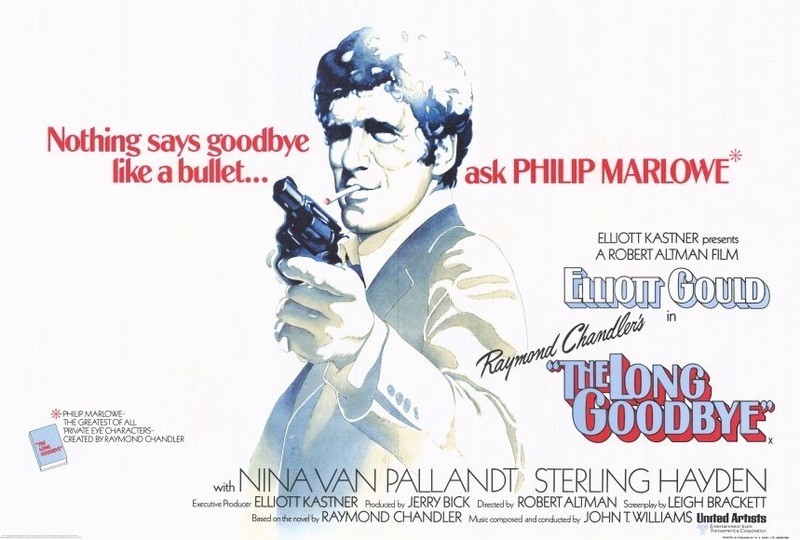 Elliot Gould's Marlowe does a good cynical 70's laconic private eye in his update of The Long Goodbye (1973) and it is one of Robert Altman's best movies capturing a perfect moment in the early seventies. Now a period piece, but back in '73 it was an excellent look at manners and morals in 70's LA undergoing a sexual liberation. We like Marlowe because he knows he's been played for a sucker by society and the cops and yet he doggedly closes in, with or without help, sometimes for a scrap of justice or personal satisfaction. He belongs to world that has completely vanished, along with Chandler, who was shaped by the times he grew up in. There is a clear jolting moment in the film when a minor female character is savagely knifed in the face by Mark Rydell's character. We come face to face with real senseless violence to prove a stupid point. And in this scene I think Altman was commenting on the rather unreal violence of the 40's cinema that never dwelt on the consequences. Of course the film wonderfully portrayed the double values of the rich and Marlowe can't help but be suckered by Nina Van Pallant's dame who plays him all the way through. 'The Phillip Marlowe of The Long Goodbye is an anachronism, a man obviously out of place in the sun-soaked, seventies-era California environ he inhabits, but who wouldn’t appear quite at home in the dark and dour milieu of forties-era noir either. He seems stuck in some weird middle ground, trapped in a time to which he doesn’t belong and clamoring for one that he has no place in either, a pretty apt description for the film itself'. Polanski's Chinatown (1971) is the closest to a real vision of Chandler's L.A.. Jack Nicholson gives the performance of his life as Jake Gittings, the Marlowe-esqe character. 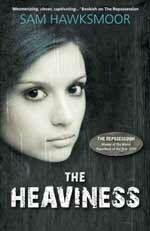 It is a wonderful work and a brilliant insight into the power plays in a city undergoing huge growing pains. Even better to realise that it was based on real scandals in the water and power business. Los Angeles was, for me, a symbol for a whole American way of life and it only dawned on me slowly, that just as I had discovered it, it had vanished, subsumed by the tacky sixties and the druggy seventies. The movie went some way to revive interest in Chandler and hit a nerve. It was perfectly realised recreation of old LA and of course, at that time it was still there to be seen. Fay Dunaway was a perfect foil to Jack Nicholson's detective and although he thinks he's smart, she's smarter and John Huston was the perfect embodiment of arrogant rich man who thought he could get away with anything. I just always wish I could have been there, in the LA of the late 30's and somehow been part of the scene. Chandlerville was still there when I finally arrived. Flew from New York on a TWA Jumbo, the only passenger. Incredible, but true. The fare was $350 - doesn't seem so much now, but was back in '71. Found everything just as I imagined. Stayed in the Canyon, lived in a shack by Venice beach, met the weirdest people ever. Worked as a jester, an extra, wrote scripts, but never cracked it. Ten years later, living by Sunset, a friend and I were held up at gunpoint and robbed of everything we had. But that's L.A., you have to expect the unexpected. Had to dial 911 with the tip of my tongue on a dial phone. (This is hard, believe me). Nothing is more terrifying than a SWAT team arriving with guns bristling. They looked disappointed they had no one to kill. Even met a jaded PI in Santa Monica - but it was a dame and she chain smoked dropping fag ash everywhere. No style. Even though LA and Hollywood underwent a huge makeover in the late nineties, the old buildings were still everywhere, you could find places and signs that Chandler wrote about. It's pretty much all gone now, the Whisky A Go-Go clings on, but has lost its relevance and Sunset Strip has lost its relationship with the past. Chandler wouldn't recognise much of his literary territory, except maybe that the rich still build castles in the sky and murder anyone who gets in their way. LA is crowded now, the empty spaces and deserted canyons are gone, infilled with homes, cars, every space covered with something, usually tacky. Of course crime still goes on, but it is so relentless, there are so many murders and overdoses and scandals, nothing suprises us. Millions have gone there to live the dream, to find it is just that, a smog filled dream and California is almost always tetering in bankruptcy despite the best efforts of Governor Brown. Elmore Leonard with his often funny work, such as in 'Get Shorty' followed in Chandler's footsteps with wacky, contemporary insights into all these people trying for the main chance, taking any shortcuts they can. I guess we are waiting for a decent Mexican writer to come along and tell it like it is in LA now. Perhaps crime fiction grabs us all because the people in them seem to be so very alive. (Save the corpse). They are caught up in things so much bigger than themselves and we live our lives through them. I may never find a fascination with Miss Marple, but I can see why people do. 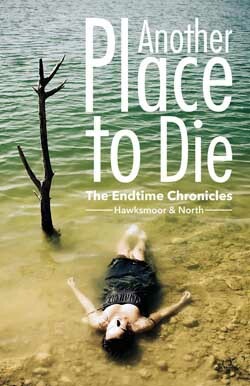 Styles change and Swedish crime fiction dominates now, with their bleak landscapes and increasingly vicious crimes. What Chandler would have made of the internet I am not sure but he would have loved the fallout from Ashley Madison. We are entering a new society. There won't be the romance and charm of Chandlerville in the future. Crime will be prevalent, with an aging population, criminals may be older, delinquent 60 year olds may need long sentences or electronic tagging. There is no honour amongst thieves, if there ever was. With the government being able to track us down through our iPhones, email, twitter, drones and CCTV, the world of the private eye will be high-tech, less mobile, spying on us from computers and eavesdropping sentient microbots. These P.I.s won't get much chance to banter with pretty secretaries, or mix with ambitious young wives of older rich men. More's the pity. Savour Chandler now and fall in love with a whole way of life that's disappeared forever. Chandler was a boozer, married to an older woman, lived in Santa Barbara, his life was complicated but unlike some, I prefer to judge a man by his books (than his life) and his books still stand as the best and an inspiration for writing crime. © Hackwriters 1999-2017 all rights reserved - all comments are the writers' own responsibiltiy - no liability accepted by hackwriters.com or affiliates.